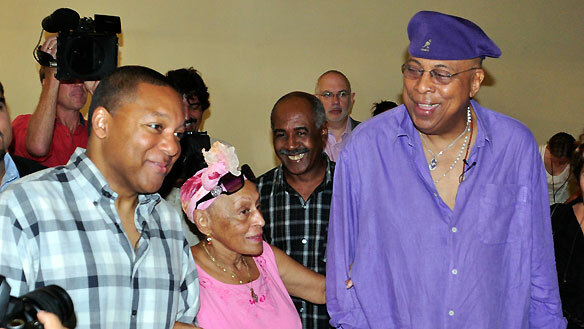 Wynton Marsalis recorded "Esta tarde ví llover" by Armando Manzanero this week in Cuba with Omara Portuondo and Chucho Valdés. Trumpeter Wynton Marsalis is in Cuba with the Jazz at Lincoln Center Orchestra for a series of concerts on the island. "When I had the opportunity to record with Omara and Chucho I started to get full of emotion" Said Marsalis.